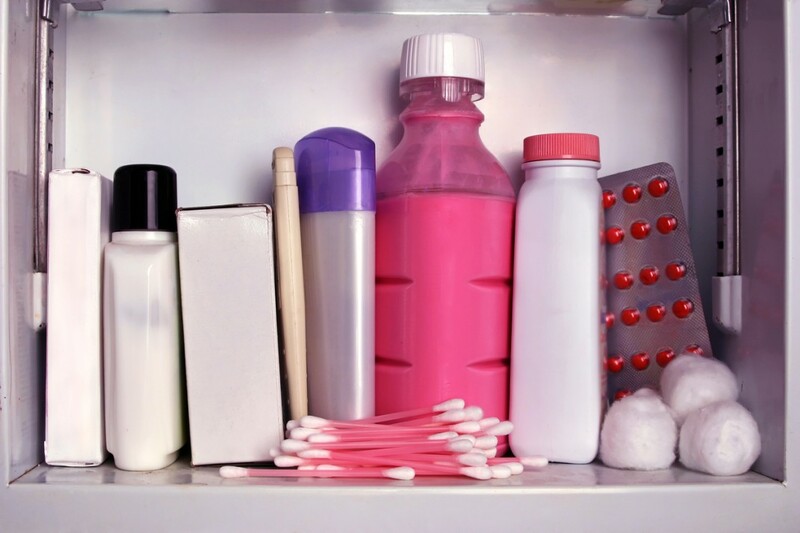 You wouldn't think a bathroom would lack a medicine cabinet, but it happened to our author. Congratulations! You’ve found an apartment! You made it through the search, the credit check and the other myriad decisions that go into finding an apartment in New York City. The hard part is over, you’re probably thinking. Now all you have to do is...move! Shouldn’t be that hard, right? Well, yes and no. 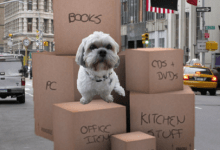 While there are definitely ways to manage the pain of moving (like getting movers, as opposed to doing it yourself), there will inevitably be a number of details you might not have considered factoring into your budget. Details that will, because this is New York City, wind up costing you money. 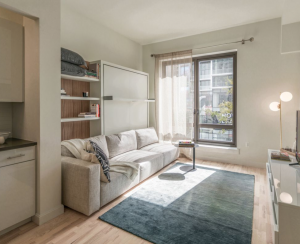 Here’s a list of things you should think about before splurging on the apartment-you-probably-can’t-afford-but-are-going-for-anyway, based on extensive personal experience navigating the wilds of NYC rental apartments. 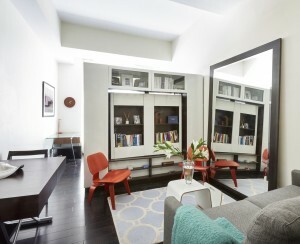 A closet is something a person outside of New York wouldn’t, in their wildest dreams, expect an apartment to be without. But get this: Exactly half of the apartments I’ve lived in didn’t have a single space—closet, drawers, nada—in which to store clothes. More frustratingly, I’ve had to alternate between apartments with clothes storage and apartments without, so I’ve bought more than one clothing rack/armoire during my stint here. It’s the worst. The good new: A basic garment rack can be had for less than $100, and a small IKEA wardrobe ranges from around $150 to $500. If you have a TON of things, it could be closer to $1,000, in which case...perhaps consider a different city that’s not so pressed for space, or at least spend some time Marie Kondo-ing the hell out of your possessions. What do you need three pairs of shoes for, anyway? 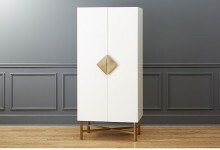 And check out this article for more clothes storage to consider when your apartment lacks a closet in the bedroom. Here’s a strange thing that happened to me: Once, in my desperation to move quickly, I agreed to rent an apartment that I thought fit my every real estate desire: Great location, great price, large bedroom. What I did not look at, before agreeing to move in, was the bathroom. Why anyone would build a bathroom with no storage space—no medicine cabinet, no under-sink cabinet, not even a soap holder, I will never know, but it did necessitate one more unforeseen trip to The Container Store. Having to buy bathroom organizers wasn’t the end of the world, of course. But when you’re moving in New York City, inevitably the place you rent is going to have different storage than the place you just moved from. Even if you’re moving within the city, different neighborhoods have different hazards. Is your new place along the river? That’s great, but with the increased prevalence of powerful storms, many insurance companies either will refuse you protection, or charge more for it. Other factors that impact the price of renters insurance include the age and type of building, and how close it is to fire protection services. Be sure to check with your insurance company before assuming your policy will seamlessly carry over to your new apartment. So you joined a gym thinking you would live on the Upper West Side for your whole life. Oops. You may find yourself confronted with the irksome reality that your membership, despite being at a city-wide chain, is valid only at a single location. Your options here will vary depending on your gym, but the bad news is that generally, only certain membership tiers allow you to use any location. This of course is assuming your gym has multiple locations. If you signed on to an annual membership at a neighborhood gym, well, you’re probably out of luck. Lord willing, you will never be forced to vacate a 3,000-square-foot loft that you have spent years slowly filling with stoop-scavenged books and leftover mannequins, like this unfortunate Brick Underground writer. 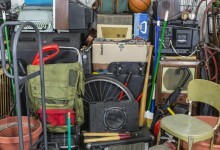 But if you’ve ever finished packing up the stuff you want and realize that much more remains than you can deal with, you’ll want to read this cautionary tale. The final tab to haul away all that accreted crap came out to a brutal $350 per person in a five-person apartment. That’s $1,750 total, not a small expense. That is a horror story. 6. What about the air conditioner? Here’s a thing that sometimes happens: Say you move in the dead of winter, or fall or even spring, when the temperature makes you unable to imagine a time when it will be so miserably humid your skin will feel like soup. You look at the air conditioner in your window and think: ‘Do you really want to lug that thing all the way to your new place?’ This seems like a problem for Future You. Current You leaves the air conditioner. Alternatively, maybe you never had a right to take it in the first place. Or, you lucky thing, you lived in a place with central air. The point is, unless you are moving between June and August, you’re liable to forget that a window unit is essential to surviving a New York summer. Don’t do what Abbi and Ilana did. Any of it. New York is full of freelancers, which can be great as a lifestyle but less great when trying to rent an apartment from a skeptical landlord, who will often require an annual salary of up to 45 times your rent. Given this, it’s hardly uncommon to need a guarantor. But guarantors are hard to come by—parents can be good go-tos, but are sometimes disqualified if they live far away or are retired. 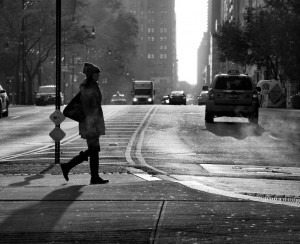 Like practically everything else in New York, a guarantor can be had if you’re willing to pay for it. Insurent Lease Guaranty (FYI, a Brick Underground sponsor) will co-sign your lease for around 70 to 90 percent of a month’s rent. It ain’t cheap, but really...what is?